You didn’t read that title wrong. I am going to show you how to learn SEO… for free. I have personally been doing SEO for over 15 years. 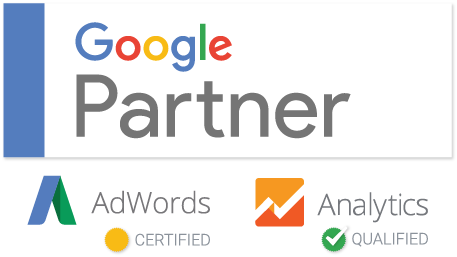 When Google first got popular and launched Google Adwords, I was hooked on SEO and SEM. I taught myself SEO over the last 15 years and have been called the SEO King. Instead of wasting 15 years of your life, I can show you all of the resources I have found to learn SEO for free over the last decade and a half. If you are looking to learn SEO without paying a dime, then YouTube should be your first stop. There are hundreds of thousands of hours of SEO training, courses and content on Youtube. Even my personal channel has a pretty good collection of SEO videos, guides, and hacks. There is so much free content out there on Youtube, there is no excuse to not being able to learn SEO for free. Udemy is an online course website that has a ton of free courses on learning SEO. There are some really great SEO training courses on Udemy that can teach you the basics of SEO in a decent amount of time. See if there is anything keeping your website from ranking #1! You have to be selective when choosing the right courses to watch. You don’t want to waste hours watching something that isn’t going to give you any value. I personally have 2 free SEO courses on Udemy that can get you started learning SEO, that I think are pretty good basic SEO courses. If you watch and learn from these courses, you will basically learn what you need to know to rank websites higher in Google. Yes, there are a lot of little quirks and techniques with SEO, but you can learn those in a more advanced course or by experimenting on your own. Reddit is a large forum that has a ton of channels that you can discuss various topics. 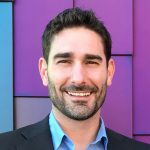 The SEO Reddit channel is a great resource to ask questions about SEO and get good answers from Top SEO’s around the world. They have a plethora of SEO questions, guides, articles, news, experiments and more. Quora is a great resource to learn SEO free by asking any questions you have about SEO. You have to be a little careful who you listen to as there many people just trying to promote their product or service. Also, some people don’t know what the hell they are talking about. Look at their credentials and followers to make sure they are a trusted source. I even answer a lot of questions on Quora myself, because its great personal brand building and even gives me a good amount of traffic to my websites! If you want to learn SEO from someone in real life, you can get an SEO mentor. Find a professional and successful SEO and either get a job working for them or reach out and ask if they would be your mentor. You would be surprised how many will say ‘Yes’ to you. Most will just expect that you know the basics and have consumed a good amount of content about SEO and how it works. They will be available for any big SEO questions, queries, ideas or suggestions. Learn from them and you will learn SEO for free. The SEO Industry is approaching $80 billion dollars so there are a lot of SEO businesses out there. Search for an intern job at the local SEO companies in your area. You could even look for remote intern jobs at SEO companies in your country. 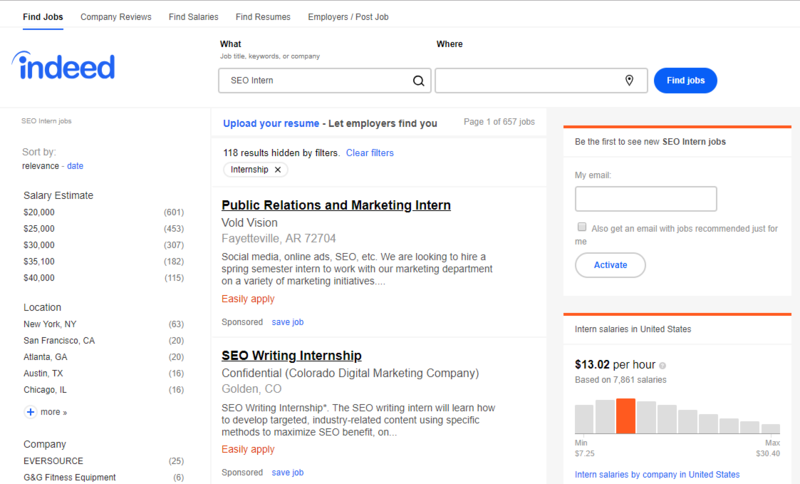 Use job search sites like Indeed to filter by SEO internships in your city or state. Many newer SEO companies love interns as they are free and provide help with the work. Get an intern position and try and soak in as much as you can from the executive team and SEO experts in the organization. Ask questions, be a sponge and you will learn SEO for free in no time. You may even get promoted to a paying position at the company so you can get paid to learn SEO! Did you know that there is a thing called public libraries? They have these things called books and you can even check them out for free! Did you also know that these libraries have SEO books? That’s right, you can learn SEO for free at your local Library. Check out some of the best SEO books including The Art of SEO and SEO for Dummies you will be learning SEO in no time, for $0. A lot of SEO create free webinars that basically anyone can watch. These webinars can have some great information for beginners and cover a wide variety of topics. Bigger SEO companies provide these webinars to bring in more customers and create great backlinks (ie, we are linking to them below). Most of these webinars will go over the basics or specifics about SEO and SEM, but they are a great way to learn information about SEO from the authorities in the industry. Podcasts are a thing now. There are thousands of great podcasts out there that talk about SEO and online marketing. All of these have hours and hours of content that you can listen to, absolutely free. So pop in the headphones on the plane, listen in your car and before you go to bed. You will be an SEO guru in no time. Reading blogs about SEO can help you learn a whole treasure trove of information about it. There are hundreds of great SEO blogs out there that have endless articles of tips, tricks, guides and hacks for SEO. These should get you started on the right foot. Remember, you can always do more Googling to find other great SEO blogs out there. Ahrefs even features a list of 29 Awesome SEO blogs to follow, which can give you some more resources for SEO blogs. Joining Facebook Groups is a great free way to learn from other SEO pros out there. There are some very popular SEO Facebook Groups with active discussions about the latest SEO trends, questions, and data. Some of these groups are public and some are private. You will need to apply to join to the private ones but they are all free. So start scouring posts for questions and answers, links to SEO guides/content and learn SEO for free on Facebook. Forums aren’t as popular as they once were but there are still quite a few SEO forums out there that have a ton of content from the past years. You can find a ton of great SEO guides, resource lists and discussions about SEO throughout the years. 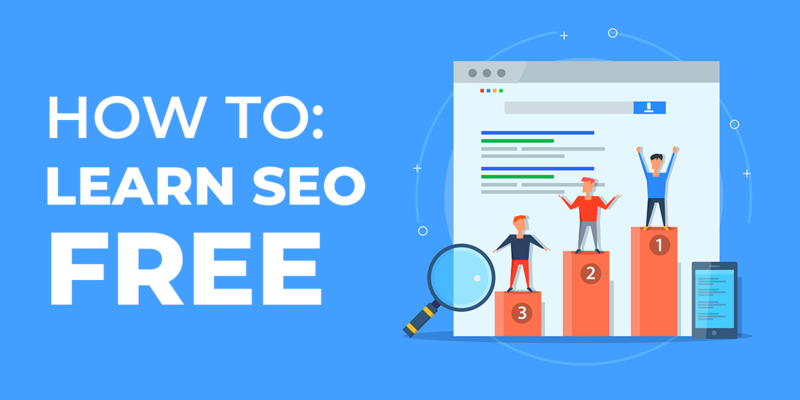 You may need to do some digging but you will find literally everything you need to learn SEO for free. There are plenty of resources out there for anyone to learn how to do search engine optimization for completely free. I basically did it and I know you can to. Just never stop learning and experiementing and you will beana SEO pro in no time. Comment below for other great resources on learning SEO for free. This entry was posted in Digital Marketing, Search Engine Optimization. Bookmark the permalink. 5601 W 136th Terrace Overland Park, Kansas - 66223 USA. Tyton Media is Kansas City's fastest growing SEO agency.